On your trip over to Kawau Island you will probably see Gannets diving gracefully into the sea for their next meal, then up they pop to have a rest on top of the water if they had success and enjoyed a good feed. You may spot a Caspian Tern, these have beautiful beaks, that look as if they have just had bright red lipstick applied! Hopefully there will be the smaller terns flying around, we call these Kahawai Birds and maybe they will be working the water where there is a “boil up” of fish below. The red legged and black backed Gulls will follow boats hoping for an easy feed thrown over the side during gutting. Lookout for the Oyster Catchers on the rocky shore, they will be drilling the rock oysters for a good feed with their long orange, carrot like beaks. You may also spot a North Island Weka, they sometimes forage on the beach for small crabs. These flightless birds live on Kawau very successfully and we have a much bigger population here than on the mainland. They are very nosey birds and love shiny, bright, colourful things like pink jandals, which if given the chance they will pinch and run off with! They must have a huge stash of these and similar items somewhere! Every evening we hear the “weka call” around the bays as one starts the call off, others in the area then join in on this very social event. We have a few different species of Cormorants or Shags around Kawau’s shore, the larger pied,”Kawau Shag” as they are known, live in the trees on Rocky Bay and as you descend down the steep hillside onto the beach there are usually a large number standing on the sand, wings outstretched, drying them off. We see the little Black Shag doing this on jetties and pontoons too. 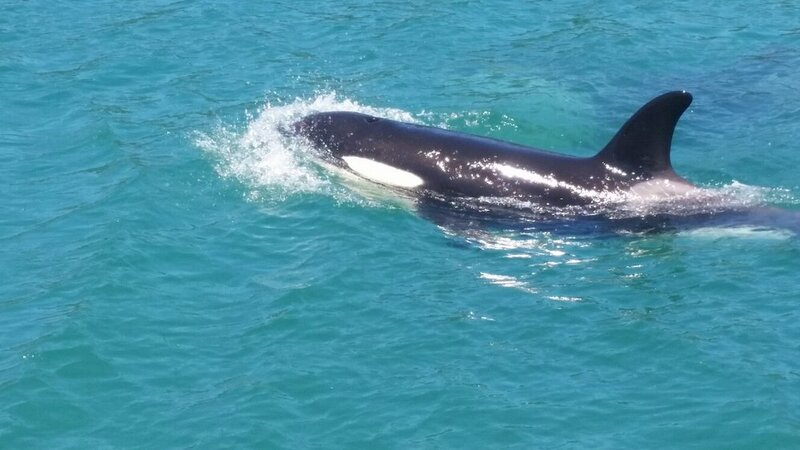 In the evenings we listen for Kiwis calling: yes we are lucky to have these on Kawau Island. The kiwi is a unique and curious bird: it cannot fly, has loose, hair-like feathers, strong legs and no tail. Kiwi are ratites. New Zealanders have been called 'Kiwis' since the nickname was bestowed by Australian soldiers in the First World War. Kiwi can live for between 25 and 50 years. Chicks hatch fully feathered. They emerge from the nest to feed at about five days old and are never fed by their parents. Juveniles grow slowly, taking three to five years to reach adult size. Kiwi are a significant national icon, equally cherished by all cultures in New Zealand. Kiwi are a symbol for the uniqueness of New Zealand wildlife and the value of our natural heritage. Another bird we love to hear is the little Morepork (ruru). The native morepork is known for its haunting, melancholic call. This sound gives it the Māori name 'ruru'. They have acute hearing and are sensitive to light. They can turn their head through 270 degrees. Morepork are nocturnal, hunting at night for large invertebrates including beetles, weta, moths and spiders. They will also take small birds, rats and mice. They fly silently as they have soft fringes on the edge of the wing feathers. They catch prey using large sharp talons or beak. What could be better on a clear starry night than to have your fishing line over the jetty and listen to all the bird sounds as you survey the night sky. Swallows often nest in rarely used boats moored around the Island and Kingfishers live on the banks of the rocky shore, we watch these brightly coloured birds sitting on the jetty poles ready to swoop down into the sea for a meal. Just beware not to get too close to their nest in the bank as they dive down and make a horrid piercing screech to scare you off. 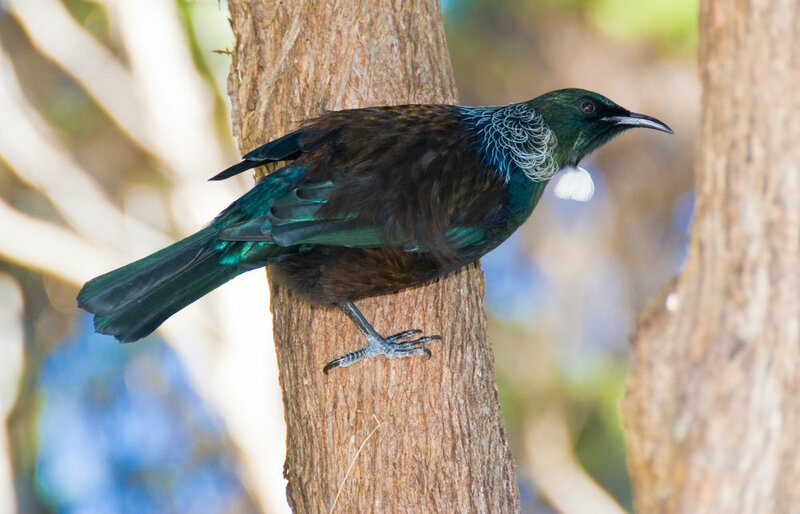 Tuis can be heard around every bay and cove on the Islabnd. Vivian Bay has a lot of beautiful big native trees and they can always be heard and seen here. These attractive birds can often be heard singing their beautiful melodies before they are spotted. You will recognise them by their distinctive white tuft under their throat. They are important pollinators of many native trees and will fly large distances, especially during winter for their favourite foods. Tūī are unique to New Zealand and belong to the honeyeater family, which means they feed mainly on nectar from flowers of native plants. We have a lot of mature pohutukawa trees and when these are in flower the tuis are in their element; likewise when the flaxes flower. The New Zealand pigeon (kererū) is a large bird with irridescent green and bronze feathers on its head and a smart white vest. The noisy beat of its wings is a distinctive sound in our forests. Kererū can measure up to 51 cm from tail to beak, and weigh about 650g. Since the extinction of the moa, the kererū and parea are now the only bird species that are big enough to swallow large fruit, such as those of karaka, miro, tawa and taraire, and disperse the seed over long distances. Chicks are fed "pigeon milk", a protein-rich milky secretion from the walls of the parents' crops, mixed with fruit pulp. Fantails often follow us on a walk through the bush and another bird that survives well here is the little Grey Warbler, this tiny bird sings an enormous warbling song. Silver (or Wax) Eyes, is another small bird we see here too, mostly when the pohutukawa is blooming. We must also mention our Kookaburras, although not native, these have survived from Sir George Grey’s days when he introduced many different species of birds and animals to Kawau Island. If we are up early enough we heard kookaburras “laughing” away to each other. Also look out for our two male Peacocks, Solo and Two-Toes in the grounds around Mansion House, they look extremely handsome in the spring when their tail feathers are in full array. This is just a “taster” of what birds you might spot on your trip to the unique Kawau Island. 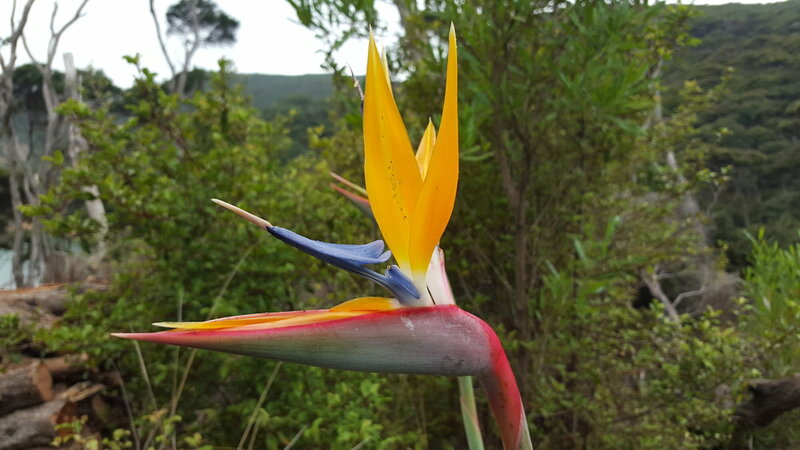 While the predominant native trees on the island are the white flowering kanuka and the manuka, there are many other species on our island too. And what is the difference between kanuka and manuka? Kanuka is ‘kind’ and manuka is ‘mean’. Touch the foliage to get the message! Some properties are fortunate to have one or more majestic kauri trees, or groves of ancient puriri, tawa, or tairaire. In the next tier the most common tree fern is the ponga or silver fern, but you’ll see others such as the mamaku or black tree ferns, and some small trees such as the scented mingimingi, five finger, tree daisy, lush kawakawa, and red matipo. Underneath these you’ll find patches of filmy ferns, including the cup shaped kidney fern, the sprawling umbrella fern and lots of spongy mosses, lovely to walk on. In the autumn watch where you put your feet – there will be coral fungi, deadmans fingers, earth stars, birdnest fungi, and purple Russula. On the coastline and some headlands, gnarled red flowering pohutukawa make a display in December and in the swampy zones you’ll come across cabbage trees, flaxes and the introduced Zantedeschia or arum lily. Sir George Grey introduced five species of wallaby to Kawau Island between 1860 and 1870. Four species are still found on the island today. 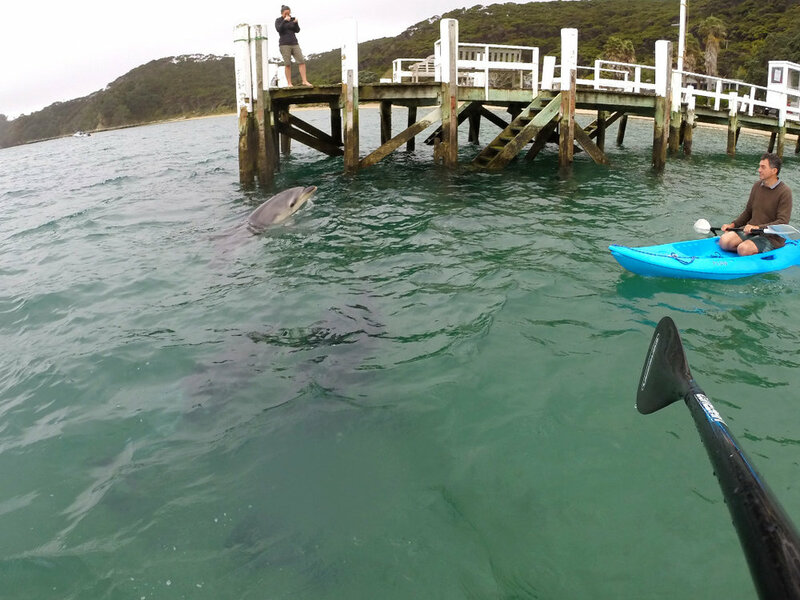 The most numerous species present on Kawau. It is small, about 50cm when full grown, with a short rat-like tail. It is silver grey in colour with reddish shadings on the shoulder. The parma is a small brown with a long dark tail with a cream or white coloured tip. Its chin and throat are also whitish in colour. This 55-60cm high wallaby is the most brightly coloured of those on Kawau. It has a coppery brown body with a dark bushy tail and dark markings on the face. This large wallaby is sometimes referred to as the “wallaroo”. It grows to a metre in height and is a rich dark brown with a tapering dark tail. Kawau Island, whose name stems from the many shag colonies there, lies just off shore in Hauraki Gulf, due east of Warkworth and 30 miles north of Auckland City. Approximately 5 miles long and 3 miles wide, the island is almost split in two by Bon Accord Harbour, which opens towards the mainland, so forming a fine natural anchorage. The highest point is Grey Heights (596 ft). The topography of Kawau can be described as hilly to steep with some relatively large flat to gently sloping areas, both elevated and in valleys. High cliffs face the open sea to the east and for the most part are impassable with few safe landing places for vessels on that coast. Inlets and harbours formed by drowned valleys (as the land tilted downward to the west and as the sea level rose following the last Ice Age) penetrate the more sheltered western shoreline. There are two large sandy bays at the flanks of the western shoreline. The island is made up mainly of steep south-west dipping indurated greywacke and argillite of the Waipapa Group within which are pillow lavas, cherts, jaspilites and, near South Cove, associated copper and manganese ores. The overlying Waitemata Group sandstone and mudstone crops out along the north-east and south coasts and west from Ladys Bay. Contorted bedding is common in these rocks and fossils are found at Brownrigg Point and Fossil Point. Greensands at Fossil Point also show calcareous “cannon-ball” concretions of varying size and roundness. As with most of New Zealand, the basement rocks of the Auckland Region are composed of greywacke (indurated sandstone, siltstone and mudstone). Hunua Terrane Greywacke lies beneath the Auckland Region on the eastern side, as far south as the Hunua Ranges, and outcrops in the Hunua Ranges, many islands in the Hauraki Gulf (Waiheke, Motutapu, Motuihe, Tiritiri Matangi, Kawau, etc. ), and Tawharanui Peninsula. It sometimes includes Chert and Argillite. The rocks are generally fine grained and highly deformed. It was formed in Late Triassic to Late Jurassic times (220-145 Ma). The Kawau subgroup consists of heterogeneous sediments that range from greywacke boulder breccia, through limestone cobble breccia, greywacke devil conglomerate, grit, fossiliferous sandstone and rare siltstone, to pebbly, sandy, Shelley limestone. Kawau sediments are usually cow serious with locally abundant barnacles, molluscs and less abundant corals, calcareous algae and other groups. The most important outcrops of Spilitic rocks are immediately north of the Copper Mine and that Point Fowler on the east coast of the island. The rocks are grey-green in colour, fine in grain and extremely hard. The Kawau copper lode is contained in silicified greywacke and dips downward at a high angle. Above ground water level the sulphide is well weathered and oxidised to sulphate, the blue copper sulphate being easily seen in the exposure on the spur. Lower down in the lode there is a transition through an enriched zone where copper from the weathered ore above has been transported and re-deposited, and below that again is the relatively unaltered primary ore of lower grade.